The Choice in Funeral Excellence. Be the first to share your favorite memory, photo or story of Allen. This memorial page is dedicated for family, friends and future generations to celebrate the life of their loved one. Allen Roy Rogers, age 88, of Osceola, passed away at his home on Thursday, October 4, 2018. 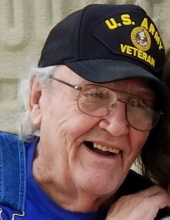 Allen was born July 26, 1930 to James Roy and Nona 'Johnston' Rogers of Deer Trails, CO. After graduating from Birchtree High School, Birchtree, MO in 1949, Allen enlisted in the U.S. Army and served in Korea from 1949 to 1952. From 1953 to 1958 he was employed as a machinist at Westinghouse. From 1959 to retirement in 1987, Allen was employed at Western Electric/Lucent in Lee’s Summit, MO. He married Ginger Stumpff on April 20, 1989 in Maricopa, AZ. Allen was a member of CWA Local 6360 as well as a 3rd degree Mason at the Belton Masonic Temple. He was active in the Richard Gebaur Baseball Association and the Scout Master of Troop 111 from 1969 to 1984, where he received a Scouters Award and Scouters Key. Allen also received the district award of Merit and was wood badge trained. Honorably, Allen was a Sachem in the Tribe of Mic-O-Say. Allen, most referred to as ‘Pops’ by those who loved him, is survived by his wife of 28 years, Ginger of the home; children, LaFawn (Ron) Thomas, Diane (Cliff) Dunfee of K.C., MO, Sandra (Steven) Kamolz of Holden, MO, Allen Dwayne (Joyce) Rogers of K.C., MO, Darren (Gwen) Rogers of Elizabeth Town, KY, Daniel (Melissa) Eastland, Pleasant Hill, MO and Patricia Bankson of the home; 15 beloved grandchildren; 37 beloved great-grandchildren; a brother, George Keith (Rita) Rogers; a sister, Willie Mae Price; other family; several friends; and, last but not least, his furry buddies, Sadie, Coco, J.J., Charlie, Chloe and many feral cats and kittens. Preceding him in death were his parents, and a brother-in-law, Danny Price. The family will receive visitors at 1:00 pm on Wednesday, October 10, 2018 at Consalus Funeral Home, Clinton. A Funeral Service will commence at 2:00 pm, with interment following at Peaceful Home Cemetery, 948 SE Hwy. ZZ, Deepwater, MO 64740. The family has requested that in lieu of flowers, memorial contributions be made to the Heart of America Council (H. Roe Bartle Campership Program) and left in care of Consalus Funeral Home, 209 S. 2nd St., Clinton, MO 64735. Condolences may be left online at this website. To send flowers or a remembrance gift to the family of Allen Roy Rogers, please visit our Tribute Store. "Email Address" would like to share the life celebration of Allen Roy Rogers. Click on the "link" to go to share a favorite memory or leave a condolence message for the family.